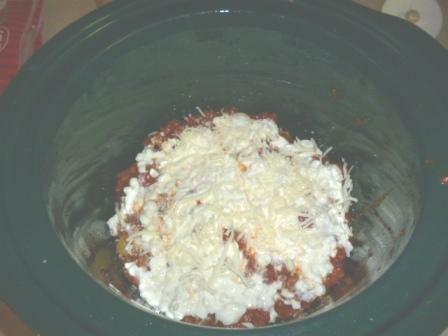 Crockpot Lasagna-Easy Meal without heating the house up! Crockpot Lasagna-Easy Summer Meal that won’t heat up the house! Are you looking for easy summer meals that won’t heat up the house-you must try this crockpot lasagna! It is so easy and I will NEVER go back to all the work to making traditional lasagna! Spray crockpot with butter spray and mix meat with sauce. Put a tiny bit of water in the jar, swish it around to get ALL the sauce out, and dump that into the bottom of the crockpot. (Waste not, want not!) Begin layering: uncooked noodles (break to fit), meat sauce, ricotta/cottage cheese, Mozzarella cheese. Repeat layers as you have ingredients. 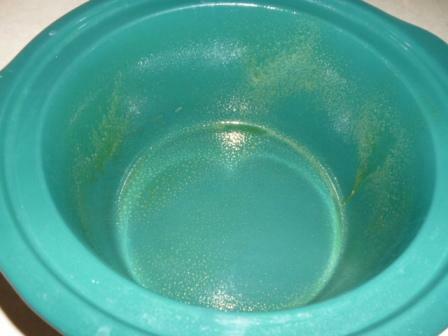 Pour about 1/4 cup water around the edge to help moisture so it won’t dry out. 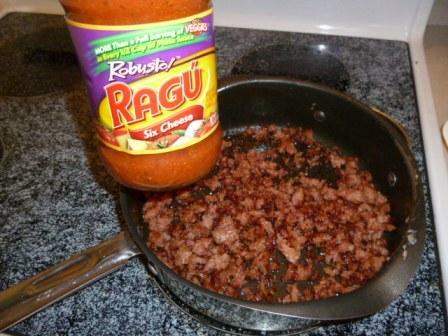 Cook on low 3 hours….lasagna making just got easier! This will fill about half of the crockpot. We have a young family of 6, it is enough for dinner, lunch and even and extra lunch for my hubs 2 days later. If you have a larger family you can double the ingredients and fill it to the top. 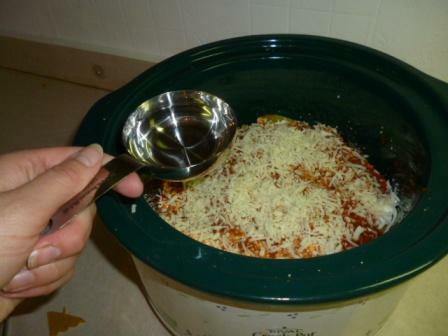 Step 2: Spray your crockpot for easy clean up! 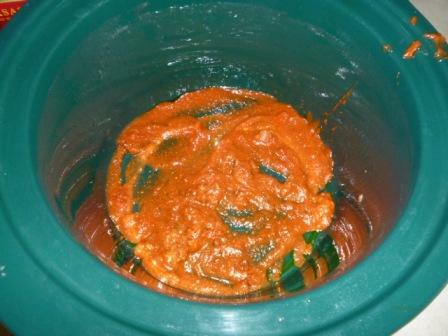 Step 3: Swish a little bit of water into the empty pasta sauce jar to get ALL the sauce out, dump into bottom of the crockpot. Step 4: Begin layering starting with the uncooked lasagna noodles. Break them to fit into the crockpot. Then layer meat sauce, ricotta/cottage cheese, Mozzarella cheese. I use the cottage cheese to keep this meal cheaper and I don’t use much cheese. You can add as little or as much as you want! Then do it all again until all your ingredients are used up. I usually make 3 layers with these ingredients. I also like to throw in a shake of Parmesan cheese and basil in each layer-but this is optional! Step 5: Add 1/4 cup of water around the edges so it doesn’t dry out. Step 6: Cook on low for about 3 ish hours. 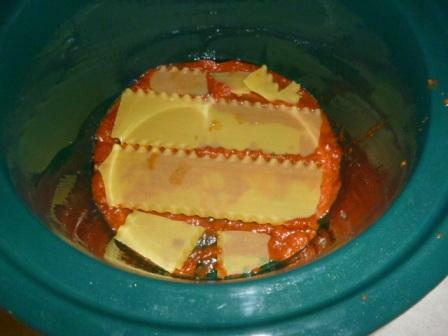 Step 7: ENJOY your crockpot lasagna! Let me know how this turns out for you! I’ve also added fresh spinach in the layering process to hide some “greens” in there. It was delicious! Looks like a winning recipe to me! I enjoy using my slow cooker – not just during the colder months, but year round. Love simple recipes that you can basically throw in ingredients & forget about them.